With tight margins, volatile markets, and changing customer expectations, one can’t rely solely on intuition alone to drive business growth and meet heightened customer demands. They need data-guided analytics. This is why; many mega retail chains and wholesalers are turning to advanced and robust BI to respond to the demands of the industry. With this BI software, you will have a full glance of inventory by season or segments or target customers in just a few clicks. So, it’s no secret that BI plays a massive role on retail industry. Retailers, from large global enterprises to smaller shop retailers are turning to analytics to drive competitive advantage. In this blog, we will talk about how retailers are leveraging BI technology to gain a deeper understanding of consumers’ needs and expectations. With BI software in place, it becomes really easy for a retail shop or multi-chain outlet to solve the problem of having the right inventory at the right time and avert any possibility of overstock or out of stock situation. By analyzing product availability by supplier, day, category, retailers can efficiently drill into details. It’s important to visualize data during each phase. This dashboard shows retailers exactly what’s happening during each phase. Whether it be pre-promotion, the promotional period itself and post promotion, it helps retailers to know exactly what’s happening throughout the promotional cycle so that they can be prepared well in advance and avoid any potential inventory stock shortages. In today’s highly dynamic and always-on world, understanding online shopping cart behavior is absolutely essential for retailers. With BI dashboard, it becomes really easy for retailers to analyze traffic sources, marketing campaigns, the behavior of specific customer segments, and other variables affecting shopping cart habits. This online shopping cart analysis describes the frequency of customers adding or removing items from their cart. Making better and faster decisions with data has become a priority for retail outlet everywhere. And with new shopping experiences and technologies emerging every day, retailers are turning to robust and powerful BI dashboards to stay agile and competitive. So, whether you are operating a multi-chain retail outlet or has just started out in this industry, it’s important to know leading retailers are using it for inventory management, end-to-end store operations, merchandising assortment, supply chain and online shopping cart. 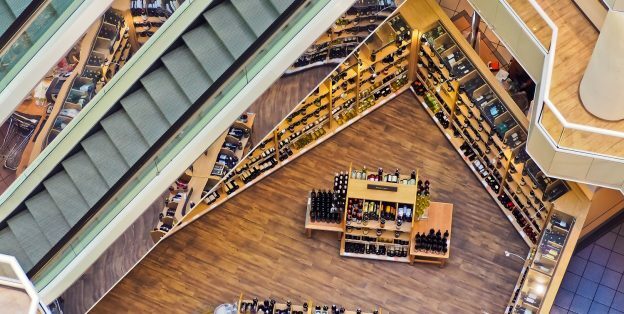 With such a large product portfolio, it becomes increasingly important to track each and every detail of retail organization, especially when it comes to ensuring quality and meeting heightened customer demands. Polls and surveys are one such way to stay in touch with your buyers. Tableau dashboard allows you to slice details that benefit your retail organization in one way or the other. Have you planned your journey to success with BI tool? It makes sense to partner with the premier partner of Tableau or Tableau Gold partner that can help you discover the range of possibilities in your retail business. This entry was posted in Business Intelligence on April 16, 2019 by Saajan Sharma. Until recently, business intelligence systems were in a complex muddle; every time you wanted to ask a question, you had to rely on your IT team. There were bottlenecks and delays to get the information and sometimes business users have to wait for weeks for answers. So, there comes a concept of BI tool with self-service BI capability in Tableau. The emphasis of BI has changed drastically from generating monthly reports, to interactively discovering and sharing trends, forecasts, and answering business questions. Instead of waiting for weeks to make a decision, businesses that have been using self-service capability in Tableau can often decide on a course of action in a few days only. In this blog, we will share a few key benefits of self-service BI. Traditional BI systems often left users to no choice but to mere guesswork. Generally, queries and requests had to go through the IT department and by the time you wait for the report, the data becomes obsolete and the information is no longer required. Self-service BI changes this situation dynamically. It allows users to get access to data without waiting for weeks or months. Business users can easily raise questions and get answered on the fly. Bring an end to data silos and spreadsheets chaos and everyone is on the same page with Tableau. When you can gain actionable insights and do a lot more with self-service capability, there’s no scope of decentralized reporting and every department works with a single source of truth and acts on actionable insights with that centralized data repository. With easy to use drag-and-drop capabilities, even non-technical users can use Tableau BI and build insightful reports with interactive visualizations. You can easily run ad-hoc analysis all in a matter of minutes and without relying on your technical department. Static reports often become dated and are easily surpassed. With self-service capability in Tableau, you can turn your business into a data-driven enterprise and gain immediate access to reports and dashboards. This software empowers everyone to analyze the figures, and access the freshest insights on production, sales, finance, and any other possible records. Self service-BI solutions can free up the IT department. It can liberate non-technical users and ensure users can glean valuable insights with ease and speed without relying heavily on the IT department. This also helps IT team to focus on other strategic tasks. Those who already know what BI self-service tools can offer are reaping the maximum benefit out of it. Those who are new to self-service BI concept can keep this blog handy and know how business users at all levels can mine their data for insights to the benefits of their departments. This entry was posted in Business Intelligence, Tableau on March 20, 2019 by Saajan Sharma. Imagine having a business analytics software that gives you the ability to see and predict future and almost about anything that you want to know. Every interaction with customers, sales figures, financial transaction and almost anything in this world. Imagine a software that empowers you to detect opportunities in real time, spot risks, and give you the ability to react to events before they even happen. To boost customer loyalty, prevent mishaps, and predict the sales model. And imagine if predictive analytics could help you drive decisions and open up a new revenue streams and offers you something that you haven’t dreamt of earlier. The good news is the proliferation of business analytics software. With the help of BI software, it becomes relatively easy to monitor and track KPIs in the easy-to-use formats such as reports and dashboards. You can also answer a few key questions like “What could be the best move for future” , “How can you discover the unknown business opportunities” “From where you can find new source of revenue?” “ how can you make better and informed business decisions?” “ what is the best that can happen?”. Answer to these questions can help businesses to forecast better and help you make data driven decisions at the drop of a hat. Business intelligence solutions help in making better decisions, answer your business query fast, enable real-time analysis, identify up-selling opportunities and make it easy to access & share information seamlessly. Every industry of any size and complexity can work smartly with BI software. 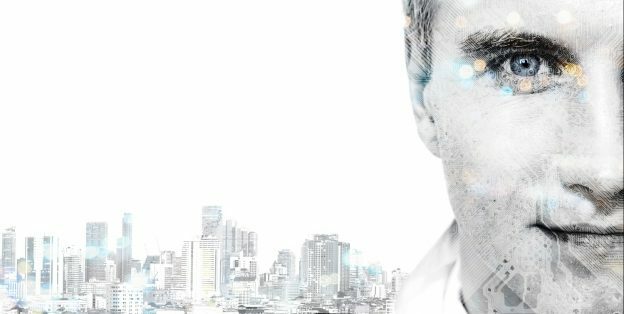 Whether you are in a retail, pharma, manufacturing, automotive, construction, healthcare, education, you can gain powerful insights and gain competitive edge from BI services. Let us quickly examine all BI services. BI consultants helps organizations to gain actionable insights and resolve business analytics challenges ranging from ideation to implementation. These experts help companies to analyze raw data and explore big data opportunities arising from SAP, SAP BW, MongoDB and various RDBMS (SQL, MySQL, Oracle, IBM). There are BI experts that help your business identify suitable BI technology, develop a data warehouse, set up ETL, data cleaning and build customized dashboards and so much more. With Data visualization, it becomes relatively easy to uncover new patterns and insights on the fly with visual reports, patterns and trends that might go unnoticed. Now it is easy to get customized and visually alluring dashboards which are interactive, easily understandable with exceptional data visualization ability. BI experts empower businesses to do trend monitoring and faster decision making with quick to use dashboards. There are BI experts who design robust data warehouse frameworks that integrate various data sources and unique models to meet specific requirements. This help create a central repository that helps businesses solve questions with logic & reasoning. 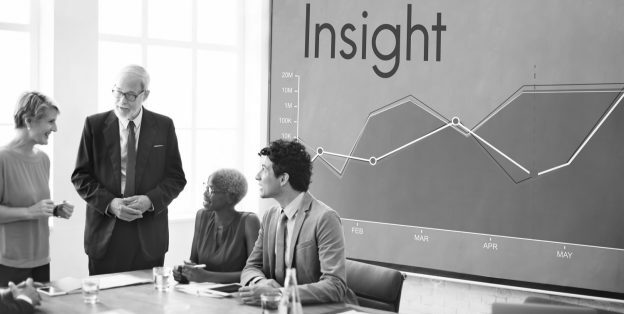 Organizations are curious & focused to gather business insights from all business areas in order to stay competitive and make optimized business decisions. Business analytics software helps you to perform high forecasting model and predict- what will happen next, what’s the best things that is coming forward and the worst thing that can be avoided in future. This entry was posted in Business Intelligence and tagged BI Consulting, BI Software on February 20, 2019 by Nidhi Batra. If one has to believe in a smart tool that provides instant insights on hand, then it has to be Business Intelligence (BI). The ever-popular excel sheets and spreadsheets covering the desks of finance managers, sales heads and financial personnel are being retired drastically. They are being replaced actively with smart and intelligence tool that has personalized dashboards, reports and other capabilities. However, these are no new thing on board. They have been around for a good time now. But, they have been readily available to business leaders, decision makers and just about any users keen to know the profit loss analysis, sales figure trends, spot business risks and opportunities or possibly anything. One can imagine how active, spontaneous and pervasive BI can become by watching how Ola works. Ola presents real-time business intelligence to drivers where it can sense peak-time surge pricing mechanism. It gives the required intelligence by providing actionable information and instantly attracts more taxis to the area where the right balance between supply and demand has to be used. What better example of BI can we have other than this? Today’s organizations have unprecedented quantities of data. However, they can’t generate the key insights from the legacy software. Systems that were used before are incapable to keep up with the burgeoning demand. This is why; BI tool such as Tableau and BI came into existence. These tools help to uncover new factors, opportunities and new answers. In a business environment where competition is increasingly growing intense, customers are fickle and the nature of the business is constantly mushrooming partnering with Tableau development services partner becomes essential to take those data based decisions to keep the business one step ahead of the game. As a strategic partner of choice, Uneecops BI experts help in framing BI strategy which includes making blueprints, BI tools selection, business case and roadmap preparation. Our experts go further and assess current BI needs and sit with your users and decision making team to speak the course of action. At the same time, being a preferred Tableau development services partner, we help our clients design, develop and support their end-to-end BI requirements. Should you be interested in embedding intelligence in your enterprise, we’re just a call away. This entry was posted in Business Intelligence and tagged BI Software, tableau on October 5, 2018 by Nidhi Batra. Data Analytics is sold as a silver bullet by product and integration service companies. It is perceived that to make use of data analytics, your organization will have to invest in expensive tools and set up a complex infrastructure. To support that infrastructure, you need to set up a dedicated IT team. Is this really true? If so, it might be out of reach for many organizations, especially small and medium enterprises (SME). Let’s bust some common myths that have been created by companies selling the tools and services. Most analytic solutions are sold as requiring setup of enterprise data warehouses, data marts, and expensive data visualization tools. The fact is that you can do data analytics with as little as information in a spreadsheet. You don’t need volumes of data to get started with analytics. Start with the information you have. Analyze and start investing in data collection where it makes sense for your business. Over a period of time, as you collect more data, you can start with setting up data lakes and move on to analytical tools that integrate well with such data sources. The next aspect of analytic solutions being sold is to setup dedicated IT teams to support the infrastructure and analytical reporting needs. In fact, analytics should remain a business function. IT should not be generating analytical reports for you. It defeats the purpose, because you are restricted in the way you want to slice and dice data to extract the information you need. As already mentioned, your infrastructure and choice of tools should match the information you have today. It is a common myth that data analytics should only be conducted over 100% data. For example, if you are trying to gauge customer satisfaction for your products, you don’t need to collect feedback from each and every customer. It would be great, but not mandatory. 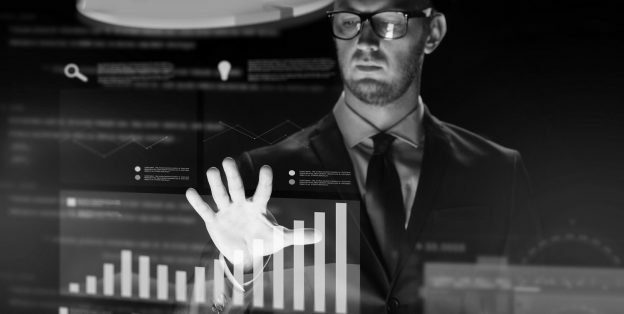 Data analytics is meant to be predictive and indicative of trends. Trends can be on smaller samples of data and can be fairly accurate as long as they are randomly collected. The real benefit of data analytics is in how quickly you can identify a trend. The longer you have to wait to collect data, the more out of sync your organization will be with the trends. Data analytics is a critical tool in decision making. It is important to involve business intelligence consulting services who can guide you on what tools and infrastructure you can use to start data analytics. However, you are the owner of what kind of analytics is required. You should control that aspect. Lastly, but not the least, data analytics benefits most when the results are available in a short turnaround time. If you take weeks and months to collect data before analyzing it, your business may lose out on critical opportunities. This entry was posted in Business Intelligence and tagged data analytics on February 3, 2017 by Nidhi Batra. The popularity of Business Intelligence is increasing by the minute. The stories and case studies of its implementation and application are taking industries by the storm. However, it still remains something being utilized by large organizations only. There’s still a lot of resistance among SMEs to start using it, thanks to many challenges it can bring for them. However, if implemented in the right way, challenges of BI can be tackled without too much problem. Here we’ll take a look at five major challenges SMEs face when implementing BI and how to tackle them. Let’s get started! Implementing BI is one thing; making sense of it is another. It can provide you a lot of data, but making sense of that data to drive decisions requires serious investment of time and money. You can’t start making sense of its data overnight. In today’s hypercompetitive business environments CEOs can’t afford to slow down at any time. The moment they slow down, their companies may be outdone by their competitors or some bigger multinational rivals. Therefore, they can’t afford to stay too dependent on IT teams for decision making. In order to be successful it’s essential to be focused. However, if not implemented very carefully, BI can make focus a rare commodity in supply. This has become even more easier after arrival of self-service BI. Sales teams, R&D teams, Finance teams – all can have their own data and their own insights into it. The current trend of self-service BI is all about putting the power of data in hands of everyone who works in the company, including people working on the ground (i.e. factories, zonal offices, field etc.) to help them take decisions. However, the problem is that teams working on ground usually don’t tend to be intelligent enough to make sense of data provided by BI tools and data sources. Last, but certainly not the least, BI is a capital-intensive affair. Budgets of most SMEs can’t afford it, so it’s not a surprise that there remains a resistance among leadership teams towards implementing BI. Data visualization can help a lot in tackling the 1st, 2nd and 4th Graphics can make numbers easy to understand, so SMEs should invest in graphics and visualization rich BI software only. If needed, they should also take help of consultants without wasting a lot of time to learn how to get the max out of their BI software. For example, companies with Tableau BI software can hire Tableau consultants to get as much advice as needed about the software. 3rd challenge, that of focus, can be tackled by controlling the sources of data. You should clearly outline the sources from where your employees can obtain data for their decisions. And lastly, the 4th challenge can also be tackled by providing some training to the teams working on ground. Training sessions coupled with visual-rich BI software can help a lot in making your ground teams smarter to understand BI data. So, if you’ve the budget, you should go ahead and utilize the power of BI for your SME. Just keep these solutions in mind and you’ll be fine. This entry was posted in Business Intelligence, SMEs and tagged Business Intelligence, SME's on January 23, 2017 by Nidhi Batra. Seeing and understanding data, dealing with frequent challenges, analyzing it, and visualizing it on daily basis are the key mantras for the success of your business. Everyone from business owners, local business vendors, to doctors want to collect data, analyze it for the betterment and try to predict consumers’ behavior. But what are steps involved to accomplish this task is a very big challenge? With the help of analytics consultants who use software like Tableau, you can easily manage your data that can be expanded from your desktop implementations to the server. Forget about the legacy chart builders! Now is the time to move with live visual analytics with the help of unlimited data exploration. What if we get an opportunity to use interactive dashboards? These dashboards can be used to tell stories and can give more meaning to your data. The better visuals you have, the more impact you will have on your audience. Tools like Tableau help look through the data and visualize trends, patterns that help in understanding the big picture and take business decisions. For example, one enterprise found that they took multiple initiatives to improve processes every year and execute projects better, but they were not making headway. Consultants got involved and helped capture information and analyze with an analytics data visualization tool. They soon realized where things were slipping and within a year started making dramatic progress and also track it. The traditional approach for reporting needs is for a business executives to request a report from IT. Then, depending on the report, IT will take a certain amount of time to enhance their tools or software and then it will be used. That is not the pace at which business works and decisions need to be taken. That’s where analytical tools make a key difference. They don’t require you to go through this traditional snail pace route. Once you have a data collection strategy in place, these tools allow you to slice and dice data and create your own reports on the fly. Another key aspect of these tools is that they help you create visualization instead of just printing reams of information which don’t help you much. You can also drag and drop reference lines and forecasts, and review statistical summaries. You can ask new questions, spot trends, identify opportunities, and make data-driven decisions with confidence. Don’t make your decision on guesswork! Use tools that help you analyze data and take informed decisions. This entry was posted in Business Intelligence and tagged Business Analytics on January 16, 2017 by Nidhi Batra. The influence of Business Intelligence in Small-Medium Enterprises (SMEs) is increasing continuously, thanks to the large number of ways in which it’s helping them increase their revenue. It has made data more important than ever, and now companies are finding new ways of making money from their data, all because of BI. Here we’re going to take a look at four ways in which SMEs are monetizing their data with BI. SMEs are utilizing BI enabled business reporting software to report transactional data. And this is a very important trend, because according to experts it can eventually lead to analysis of that data, and later prediction of transactions that take place in SMEs. The importance of customer retention is already well-known in business world. One can’t make a profitable business by continuously losing old customers and acquiring new, which is the reason behind all the talk about controlling customer churn. Now it’s a good news that BI has started to make a difference for SMEs in this area as well. Techniques like advanced churn modelling to understand why customers leave are being utilized by SMEs as well, which is helping them retain their customers. For success of any marketing campaign it’s important to know the market. That’s why marketers profile their customers by creating “personas.” And the good thing is that BI is helping SMEs a lot in customer profiling too. Since customer profiling requires constant and concise data mining, BI is the perfect tool to satisfy this requirement. By constantly mining enterprise data it reveals many patterns about the customers of SMEs, which serve as nuggets for those companies while creating customer personas. Cross-selling/Up-selling makes for a large revenue stream in most SMEs. However, in order to get the maximum revenue out of these streams one must know which channels are the best, which customer profiles to target and when to target them. Fortunately, BI is again available to help. By analysing transaction data for some time it learns about purchasing habits of customers and then helps marketers strategize their campaigns according to those habits. BI has opened new doors of possibilities for SMEs by presenting numerous ways of utilizing their data. As a result, its popularity will continue to increase among SMEs, which will in turn lead to BI becoming more intelligent and useful with time. Therefore, you too should give it a try for your SME. This entry was posted in Business Intelligence, SMEs and tagged bi tool for sme, BI Tools on January 11, 2017 by Nidhi Batra. The self-service model of business intelligence will continue to rise in 2017 as well. After all, decisions based on some data are better than decisions based on NO DATA. During next year it’ll improve even more, riding on the wave of some meta-trends (i.e. 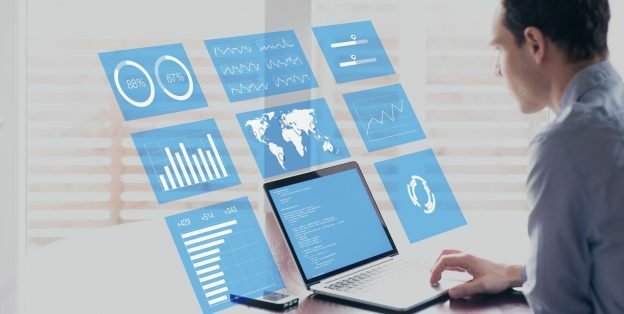 visualization, professional presentation), which will lead to business users being provided their required data in form of social-media like streams or professional dashboards. As data visualization will increase we will see a rise in demand of Tableau consultants who can help business users in getting most out of sophisticated BI software. Similarly, Tableau Developers will also see a rise in their demand. 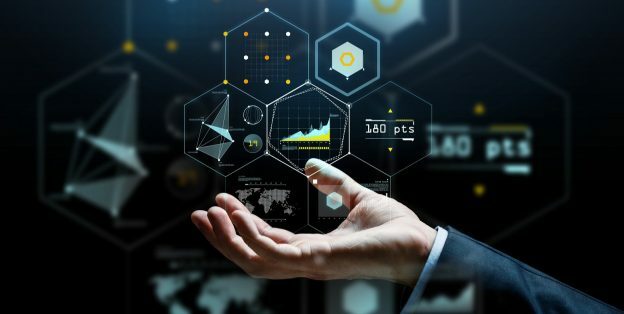 Though self-service BI will continue to rise during the next year, we may certainly see businesses putting some control on the ways of data discovery. This will happen because this year many businesses have learnt about the problems of data inconsistencies the hard way. Again, the focus on data quality will increase during next year as businesses will try to increase the trustworthiness of data being used by their employees. Companies will build internal systems to bring some standardization between data reported by IT departments and data used by individuals to guide their decisions for self-service BI. Cloud is a meta trend that continues to revolutionize every aspect of business and life. It has started to cover the BI segment as well with SaaS BI deployments gaining popularity among businesses. This trend will also continue to rise in 2017 because it not only helps in cutting costs and saving precious time but also in controlling data quality more easily. With more and more businesses already able to make sense of historical data to make decisions, the onus has now shifted to predictive analytics. Now businesses don’t want data to tell about the history alone – they also want it to predict the future. So predictive analytics will certainly find more love in BI community during 2017. While there’re certainly many other BI trends that will be seen during next year, these are going to be the biggest ones among them. Therefore, you should carefully watch them out and prepare your business for them. This entry was posted in Business Intelligence and tagged 2017 Trends, Business Intelligence, IT for SME on December 14, 2016 by Nidhi Batra. 7 Best Practices Every Smart SME Should Follow! It takes a lot of sweat and blood to build to thriving business. While you are small, there are simple things which, if done the right way, can pump up your business growth. We have picked up 10 best practices that all small businesses should follow! Having a Clear Process:It should always start with a process. Whether the operations are big or small, having a clear blue print of what happens when, helps you keep a clear sight on things. Documenting exception scenarios and learnings would help you plan better for future and reduce risk of any last minute surprises. Make sure that your team understands and follows the defined process diligently. Delegate, but centralize:Allocate tasks to your team but ensure that all reports and data are stored centrally. This will help you get a bird’s eye view on everything – information flow, gap areas, places that need more attention etc. Also, this helps in enforcing a transparent work culture and reduces risks of delayed/ lost information. Identify and define your employee expectations clearly before you hire them. When you get people on board with a clear understanding of what they have to do, the results are much better. Invest time in training them and ensure that they understand your processes and follow them to the T.
Define your e-mail identity:Once your processes and people are in place, make sure that your business has a corporate identity. This is something which a lot of businesses keep pushing to the corner. Having a proper business mail id and web properties like a website adds more credibility to your business name. Moreover, this reinforces the practice of doing all official communication via corporate mail, thus dipping any chances of misinformation or data loss. A for Customer Service:No matter how good your products may be, if customer service is not up to the mark, expanding business would become a challenge. Make sure that you pay full attention to even smallest of your clients. Happy customers would mean more repeat customers (without much sales effort) and goof referrals for new business opportunities. Do not miss on technology:From basic operational softwares to ERPs to business intelligence tools, make sure you are up to date on technology. These are investments that would make your business more agile, scalable and secure. Using technology, you can expedite your operations, improve efficiency and control costs, all in one go. Before you pick your tools, make sure you to talk to some experts about what would work best for your business type and then pick that technology. Build it for future:Think big. Define your 3 year- 5 year goals and act accordingly. Business challenges keep changing with time. Make sure that your processes foresee and cover some of the future pain areas and your operational system is robust enough to sustain the unexpected jolts. People processes and technology are your tools to scale and grow your business effectively. If used properly, these will sustain your business through all hurdles. This entry was posted in Business Intelligence and tagged Best, Follow, Practices, SME's on July 21, 2016 by Nidhi Batra. How is Business Intelligence different from Big Data? Big Data and Business Intelligence are often used interchangeably, but technically they are two different processes that occupy distinctive roles within the same circle. So, what is the basic difference that people fail to see? It is more like ‘fishing in the lake’ and ‘fishing in the sea’. If your business data that is structured is not in high volume or variety then you can make use of typical business intelligence tools and techniques. However, if the data available is of very high volume and variety (Big Data) then you need specific Big Data software tools and techniques to extract the data and get meaningful insights from it. Big Data: Big data is a buzzword that defines a domain for any technology that handles data from various sources (mostly unstructured) involving volume, variety and velocity. The term is so complex that it needs the adjective ‘Big’ to show it’s a big deal. It is definitely not about the data or data size and is unrelated with analytics but allows the analytics to be performed on data with those properties, because it’s about technology. It is the store you visit when the refined information to answer your questions is not easily available. And just like a real library it also allows you to search for answers to questions you didn’t even know you may ever have about your business processes. Business Intelligence: BI was also used as a tech-umbrella term for years but now has shifted to a business umbrella term for it is data-driven decision making. It refers to taking big data and transforming it into forms which businesses can use to proceed to use for actionable insights and improving business processes. It includes the generation, aggregation, analysis, and visualization of data to inform and facilitate business administration and strategizing. BI nowadays is everything that uses data to inform business decisions. For example, now we don’t have to use BI suites to have a BI team. 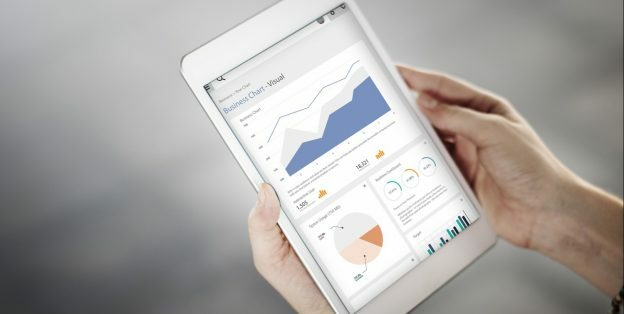 The terms like Big Data, Analytics and Data mining refer to some facet of how the information is gathered but Business Intelligence goes beyond the data, from the usage of the insights leaders assemble, to the processes that support data collection and their reporting, only to aid a better business decision. It is quite difficult to understand their true meanings because conceptually they have many overlaps but understanding the disparities can save you from many business blunders. This entry was posted in Business Intelligence and tagged Big Data, Business Data, Business Intelligence, Data Management on July 18, 2016 by Nidhi Batra. This entry was posted in Business Intelligence and tagged Business Analytics, Business Intelligence, data analytics, Data Visualization on June 16, 2016 by Nidhi Batra. Don’t be a Dino. Use Analytics to Grow Your Business Fast! Are you still sitting on your traditional registers and sheets to track operations? It’s time to switch to smart analytics, before you become extinct! A lot of business put great emphasis on tracking and growing ROI. What they forget is that there are ways to improve it as well. Simple analytics in standard sheets is not enough anymore. What you need is a powerful analytics tool that not only gives you a clear picture of the past and the present, but also predicts future recourses. And, what you need more is a heart to embrace these systems with open hands! There are no complex algorithms to scare you away. All you need to do is plug in your data into the system and voila! Your complex stats would be transformed into interactive visuals that will help you see through things clearly. What is working, what is not, are the customers happy? How is my inventory? All of these critical questions get a clear answer in not time! Each business has some vision and mission that drives its operations. Using analytics, you can actually transform your vision and values into actual numbers. You can use the trends shown by the analytics tools to build processes that are in sync with company values and have clearly defined ROIs. A lot many times, important deals are lost due to delayed decisions. Which client is giving me more business, vs. who is a bigger brand for me, all of these queries are handled smartly by analytics. With analytics in place you can be sure of taking quick and informed decisions, always! With more information at your fingertips, it’s easier to empower your whole team to make quick decisions and make this a habit across the board. The modern day businesses cannot rely on guesswork. The spray and pray technique does not work anymore. It’s time to make analytics a part of your work culture, a part of your daily operations. Analytics make you agile, they help you make smarter choices, they help you define where you want to take your organization, and how you should get there. This entry was posted in Business Intelligence and tagged Analytics, Big Data Agility, Business Analytics, Data Visualization, Predictive Analysis on May 19, 2016 by Nidhi Batra. In the recent years, Business Intelligence (BI) has become a very popular technology for businesses. From analyzing consumer behavior to operational efficiency, companies are using BI tools to get clear insights into all aspects of business. Not everyone using a BI is a techie. Keeping this in mind, BI tools have re-structured themselves. Be it a front desk executive or a sales guy, anyone can now start using the tool quickly. A statistics or a data analysis background is no more needed. BI tools are all about graphical representation that is easy to understand and interpret. The higher the quality of visualizations, the better is the tool. The new age BI tools are now ready with snippet based interactive visuals that can be generated and changed in a single click. Traditionally, BI tools were not mobile friendly. Companies thought that their data is confidential and linking it to mobiles could be an information threat. But not anymore. With more and more users getting on mobile, BI analytics are adapting to this change too. All you need is an app that is easy to use and secure. Being on cloud has become a mandate for modern day technologies. As more and more businesses move to a SaaS model, BI would have to scale up their cloud connectivity. Small and medium businesses have become increasingly adaptive of BI technologies. This segment has varying needs and a standard BI system may not always work for them. To tap on to the potential of this market, BI players would have to come up with options that fit the business needs and pocket both. 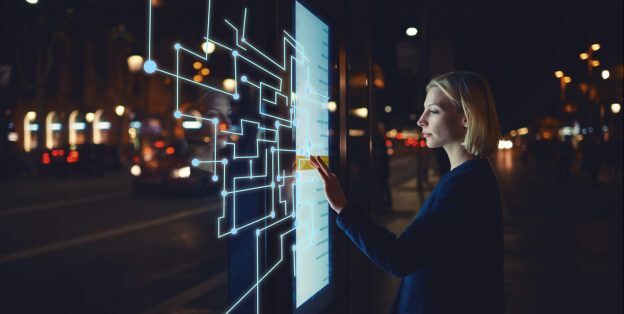 “The Internet of Things [IoT] will continue to bring in newer opportunities for real time data analytics and visualizations.BI tools would need to scale themselves and deliver data from multiple connected devices, real time. This entry was posted in Business Intelligence and tagged Advantages, Business Intelligence, Trends on April 15, 2016 by Nidhi Batra. With the whole world going ga-ga about the new gen business intelligence tool, there is a lot of confusion around what works and what doesn’t. The market is flooded with a number of BI products and it becomes difficult for businesses to decide which BI solutions they should pick and how to use it in the best way. Here are some facts and FAQs that would help you decide better! Q: How is Business Intelligence (BI) Useful for my small business? A: Your business can use BI to give the right, accurate information to people who need it, at the right time. This means that you can take informed decisions, faster. Eventually, you can get rid of expensive and time consuming manual processes, have accurate data at hand, and be able to analyze the root cause of any problem! Q: How do I know that my business needs a BI system? A: When your sales, marketing and finance departments start crying for detailed analytics or miss important decisions due to lack of data, you know that you need a BI in place! Q: What areas can my BI solution cover? A: Many! You can use your BI system to analyze a vast range of functions including, sales, customer service, financials, product segmentation, demo graphical performance, cost & revenue, market analysis etc. Q: Who can be the target users of my BI? A: Key stake holders and top management would definitely be the target users as they would need to look at the reports. Within different departments analysts and department heads could use BI to create these reports and track performance. Q: How do I ensure the success of my BI system? A: The success of a BI system is not dependent on the IT department. Though this is a popular misbelief, the fact is that success of BI depends largely on the people who use it, the departments that run the reports. Further, you need to construct your plan in a bottom up approach. Identify and build the basic data blocks first and then tweak them to generate reports. Q : How is BI better than conventional MIS reports? A: BI is much more insightful and customized as compared to the standard MIS reports. Moreover, it provides real time data every time you fetch the reports. Q : How should I evaluate a BI system? A: When considering a BI system, evaluate it on parameters like: ROI, scalability, agility, support, adaptability to business changes, types and number of reports, single solution for entire gamut of departments. Hope these FAQs would help you find the right BI solution for your business. If you have any more queries, you can ask our experts at info@uneecops.com. This entry was posted in Business Intelligence and tagged Analytic, Business, FAQ's, Intelligence, Software on March 7, 2016 by Nidhi Batra.